If there’s one building type that defines East Williamsburg, it’s the vinyl-faced wood-frame building. 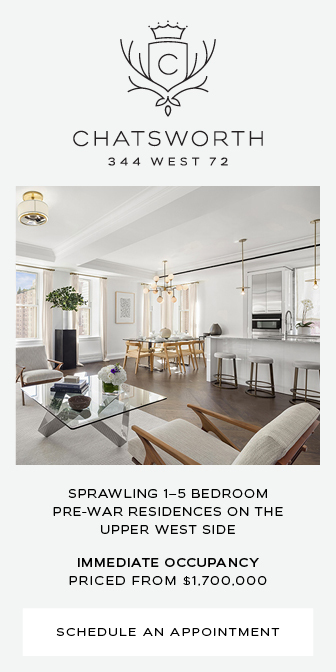 Built long ago as modest workers’ dwellings, whatever the original façades were, whether clapboard or brick, have since been refaced with vinyl, and often have chintzy metal awnings affixed above doorways. 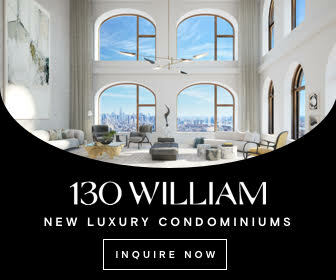 The usual development play for these buildings is to tear them down and build something glassy and modern in their place, as with Mortar-designed projects featured on YIMBY in recent days, at 764 Metropolitan and 245 Manhattan. But they’ve also got a distinctly historicist project in the works, at 139 Meserole Street. There, the firm is designing a condo building in what we’re calling the vinyl revival style (though there appears to be no actual vinyl paneling), just to the east of Graham Avenue, for developer Benjamin Pinover’s Dragonfly Design Build. 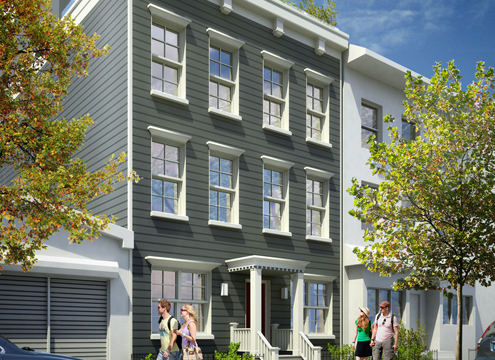 Reminiscent of early Brooklyn’s wood frame row houses, 139 Meserole is a modern adaptation of early Williamsburg. 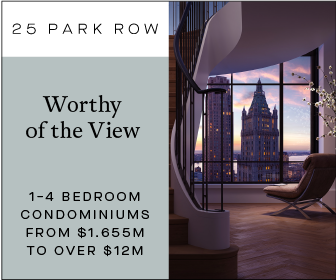 With an exterior designed with a zinc shingle facade and reclaimed cedar sun shades, the interior boasts thoughtful finishes and details though-out – including live sawn white oak planks, recycled subway tiles, honed Calcutta marble, and a living green, landscaped building canopy. 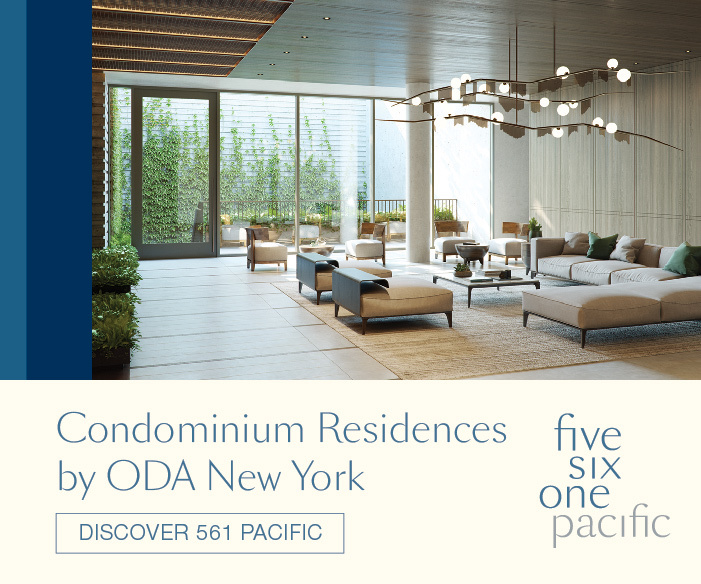 The six-story building will have eight apartments spread across just over 10,000 square feet of net residential space, with one unit and one parking space on the ground floor (which we don’t see in the rendering), two on floors two through four, and then a pair of duplexes occupying the fifth and sixth floors. 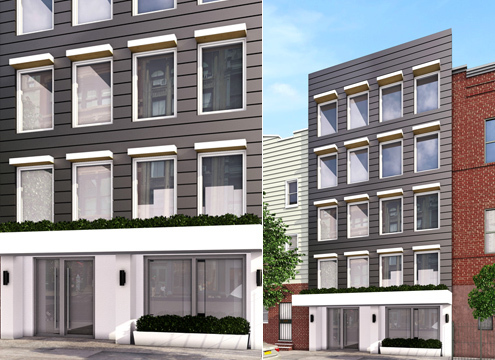 The firm also has another vinyl revival building in the works – a renovation of a wood-frame house erected in 1937, at 147 Ainslie Street, also in East Williamsburg. Suggestive of the original wood frame home built in 1937, 147 Ainslie is a delicate restoration of the existing building with grey oak shingles siding, a systemic renovation of each apartment, and a one story rooftop addition to create a penthouse apartment that is predominantly wood clad with several sun shades, which minimizes direct sunlight into the home, thereby reducing the need for cooling the space in warm weather – with stunning views of the city and a green roof. 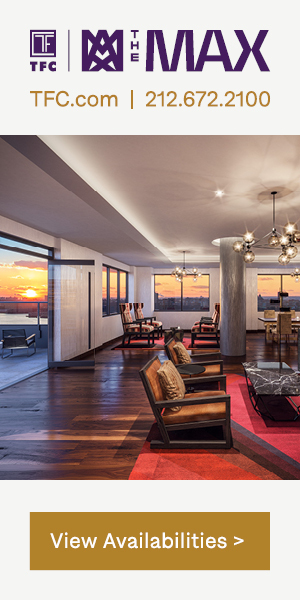 147 Ainslie is set for completion in 2016, while 139 Meserole should be finished by the end of 2015.